I have this MB run's pretty nice, but I want to know wich videocards are compatible with hybrid crossfire, is a bit funny try to know about this because I just found the people guessing about this. So far are just HD4290 and the HD5450 the ones who are compatible with hybrid crossfire (that is what I found on several web's) I will like to have a confirmation about this because even on AMD forums I cannot get an answer. So the question is, wich videocard model's are compatible with hybrid crossfire? The release of the AMD 890GX/SB850 based motherboards is one that many AMD users have anxiously been waiting some time for. There are good reasons beyond just being an AMD Fan-boy. The new 890GX/SB850 will be the replacement for the 790GX chipset and come with advancements such as support SATA 3.0 and have an integrated HD 4290 graphics processor, which is AMD's fastest to date. This new chipset will also include USB 3.0, which is not supported by the chipset, but instead is utilized by an on-board NEC chip. With all these new technologies entering the AMD market, it is easy to see why this board has been one to watch, but when you add support for AMD's upcoming Six Core processors, the reasoning behind this anticipation becomes more clear. Along with all the features already listed, you will also get tried and true technologies such as CrossFireX, DDR 3 memory and support for all current AM3 based processors. With so much technology in one package, this board will be an extremely versatile product, making it a good fit across a very large portion of computer users worldwide. 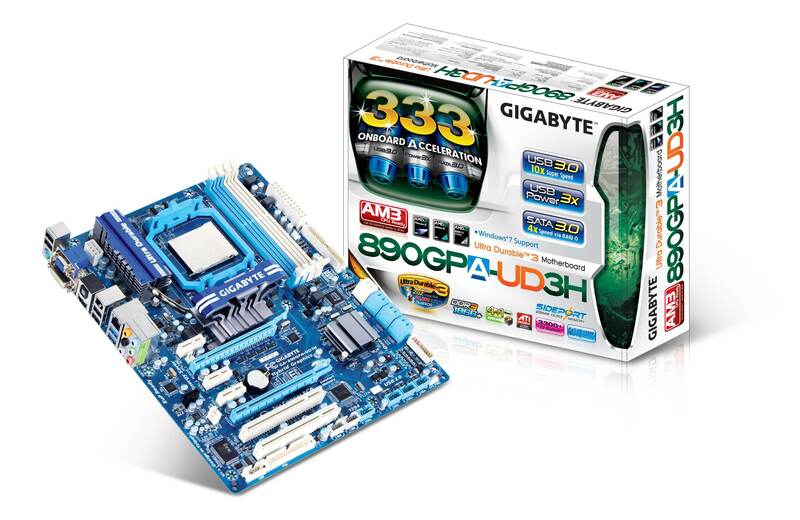 The 890GX motherboard we are going to be looking at today is the Gigabyte GA-890GPA-UD3H. 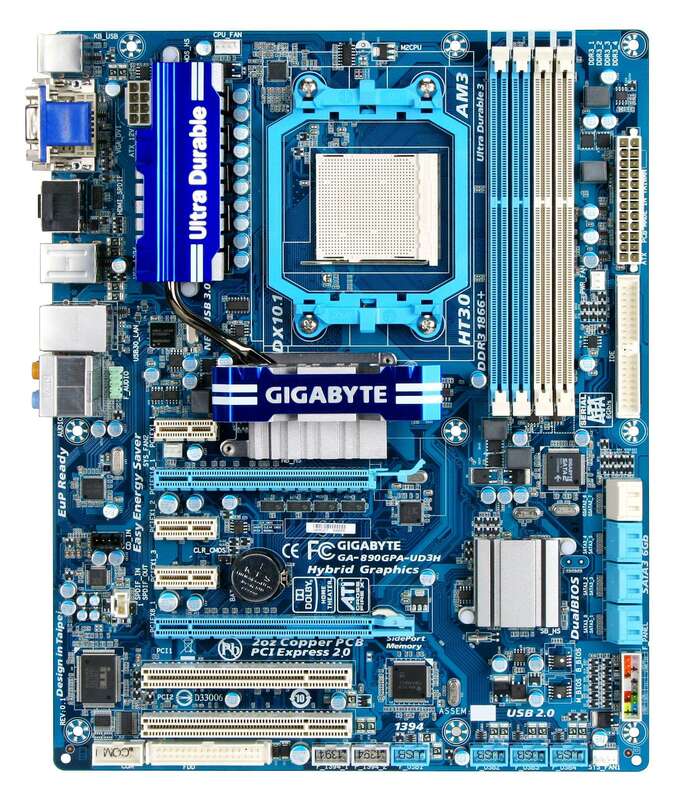 For those familiar with Gigabyte, certain features have become ubiquitous like their Ultra Durable 3 design that has 2-oz copper PCB, heatpipe cooling, dual BIOS, and the blue with white color scheme will also be very familiar. These features, that are unique to Gigabyte, have always made for high quality products. When you combine these with the new integrated technologies and support for upcoming processors, it makes for one exciting release!